A soldier has to look smart, especially on parade. 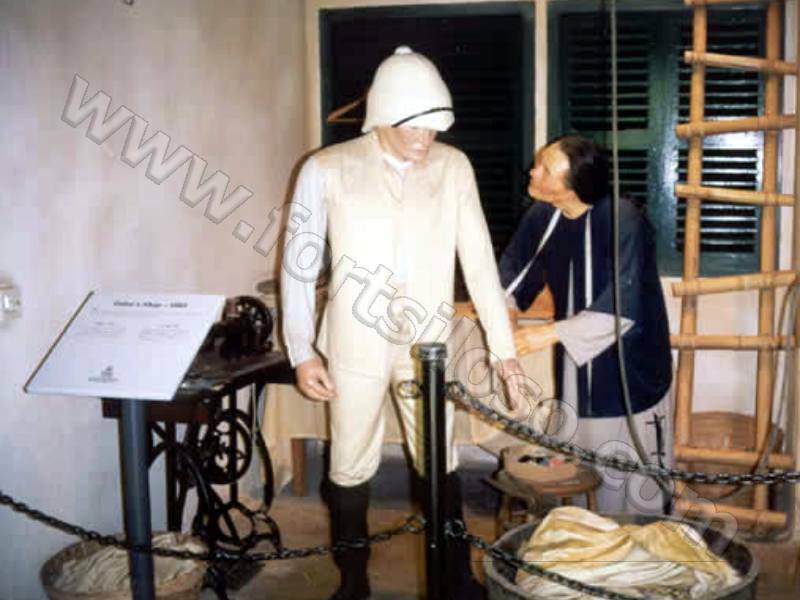 A Fort Siloso soldier is seen being fitted for his tropical white uniform. 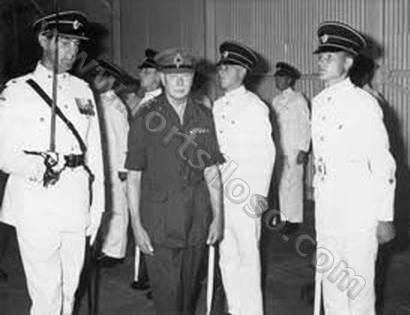 No.3 Dress or Whites, were still worn by British soldiers in Singapore during the 1960s. The photograph shows the late Duke of Gloucester inspecting men of Carfax Troop, 55 Air Despatch Squadron Royal Corps of Transport in 1966. The webmaster, then a Corporal, is front right. Gold Stripes were only worn on the right arm. The Officer is the late Major R.L. Wallis, Officer Commanding 55 Squadron. The Duke was the Commander in Chief of the Corps, an honorary title. When wearing No. 3 Dress, we referred to ourselves as being the Magnolia Men’. The name came from a the Magnolia ice cream seller. This man with his bicycle propelled cart regularly visited the camps and always wore white.